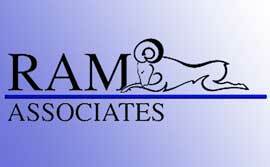 RAM Associates, Inc. of Alabama specializes in custom Internet products and services. Products and services include Web site hosting, store front development, subscription gateways, and database development. RAM Associates also specializes in SGML and XML conversions and database programming. One of RAM Associates projects was to develop and maintain a large content-rich Web site for a major transportation industry trade association. To search the contents of this site, RAM Associates used the dtSearch Text Retrieval Engine. "We’ve been very pleased with dtSearch product performance," explained Russell Mawn, principal of RAM Associates. "We especially liked dtSearch’s flexibility under different media." Another key feature of dtSearch is the ability to search fielded information with clarity and ease. "Six key fields built into the system make it a snap for the occasional user to navigate with the speed of a power user." RAM Associates also appreciated the speed and scalability of the dtSearch Text Retrieval Engine running on the site. "Search speed is perfect and is virtually instantaneous," added Mr. Mawn. "We also liked the faster reindexing speeds. Our database is constantly growing, we will have over 250,000 documents by year end and over 300,000 by June of 2005. dtSearch scalability is an important factor."